After years of vaccine research, and writing many articles stating fact or researched findings, I felt the desperate need to just say what is on my mind … I make no apologies for my thoughts, and intend no disrespect to those who can claim true ignorance of the facts. This article was originally published about six months ago, but has been considerably updated to reflect new information including an archived TLBTV show and additional links for your research. It is also my intent to bring the following points back into focus as much (and as often) as possible … until a tipping point is reached in true vaccine awareness! This is NOT a bedtime story. What follows are the feelings and opinions of an individual (me) who is absolutely horrified and sickened by the system of so called health protection in place for the American people! This is a system that has either failed on a Biblical scale … Or is accomplishing exactly what it is intended to. In either case it is always, and only, you, me and our very vulnerable children that suffer the consequences … While those perpetrating and perpetuating this madness get vastly richer and thus by default more powerful! The first point to make is that almost all we are aware of today via our personal research, has been known to researchers, doctors, physicians and (so called) Government health agencies for decades or longer. The conclusion you must come to is that like Big Pharmaceutical companies (to their ultimate benefit), we as a society (on average due to massive propaganda and programming), seem content to focus on and attack the symptoms resulting from the issue instead of the root of the issue. We are sidetracked into looking for ways to alleviate the symptoms of autism, polio, auto-immune disorders, sterility, etc… without focusing on the root cause of these maladies … Vaccines! Aluminum, Mercury (Thimerosal), Formaldehyde, MSG, Live (attenuated) Viruses and much more, all deadly or in best case, dangerous to human physiology on a massive scale, injected directly into our bodies with nothing to prove efficacy or safety over an extended period of time ever presented to a “programmed to trust” public. It speaks volumes of ineptitude (or intent) that after almost a century of vaccinating the American public, no long term efficacy or harm study has ever been conducted by this government via such entities as the CDC or FDA concerning vaccines … While in the case of many other mechanisms of possible or known harm, such as a multitude of environmental toxins or radiation, a study has been performed and is a matter of public record. An internet search of private entities that have conducted long term casual studies show unequivocally that unvaccinated children and young adults, are far more healthy, suffering far less miladies than vaccinated children … Yet there will always be the Big Pharma shills who will try hard to discredit this research, or blatantly state it “just a coincidence”. In my humble opinion “Coincidence is the tale of Tyrants, and the belief of Fools” … so are you a fool? I would state with a very high level of confidence that just the opposite is true. I would dare to say such studies have been conducted by these agencies, and the resulting data has been purposely suppressed or withheld from the public due to the massive outrage and backlash that would result. But most of all, and by far the biggest reason, is the hugely negative impact it would have on vaccine sales, and ultimately big pharmaceuticals bottom line. Please understand that Big Pharma outspends their closest rival by about five hundred percent in the money used to Lobby (buy and bribe) the very individuals who make the laws, or pass the bill we are mandated to abide by … making them the biggest influence on our government in existence. The most blatant of this proof (although many such scenarios exist) is fairly well known to most of us, this being the contamination of the polio vaccine with the (known) cancer causing SV40 virus. The CDC stated this virus was removed from the vaccine in 1963 (but was discovered in 1960 … ???). Then how is it that recent evidence has shown SV40 to have contaminated some vaccines possibly as late as the year 2000? Today approximately one out of three baby-boomers are afflicted with, or dying from, cancer. Let us also not forget the recent CDC whistle blower Dr. Thompson’s revelation of a massive thirteen year cover-up of the CDC’s own research data tying the MMR vaccine directly to autism, something as many as one out of every twenty eight male children are afflicted with today. How many incidences of Cancer, Autism, Dementia, Alzheimer, Autoimmune Disorder, Food Allergy and many other life threatening or damaging maladies could have been avoided if we had focused on the root cause, the one thing all of these blights have in common … Vaccines … instead of the symptoms, which the above stated maladies represent? How much death and suffering could have, would have, been avoided if agencies mandated with the protection of our health had come forth with the data they were aware of generations ago? The answer is untold MILLIONS! 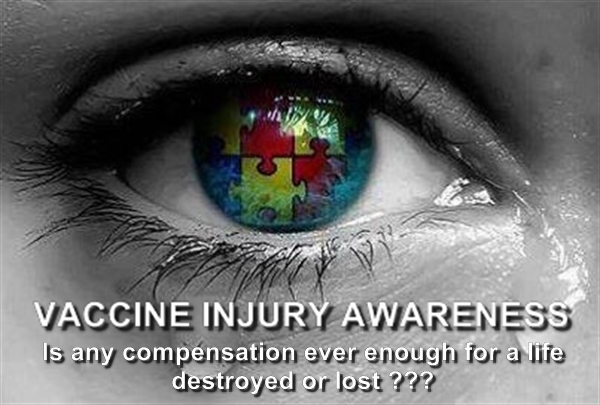 Millions dead, or damaged for life over the almost century of vaccinations administered to the American society, resulting in massive suffering and untold loss of personal and community treasure (funds)! All for profit, the proverbial bottom line, or something much more sinister. These are all comments based on facts, not guesses or assumptions! But where is the massive public outcry? Who has gone to prison for life to pay for all this “PREVENTABLE” suffering and death? Why has this (owned) government granted Big Pharma total immunity from prosecution, if their vaccine products are even half as safe and effective as they proclaim? If you or I are (knowingly) responsible for the permanent disability or death of another, we will go to prison for a very long time, maybe even for life, or even lose our life! Yet entities such as the CDC or their owners/masters, the Big Pharmaceutical companies enjoy total immunity for (knowingly) facilitating the accumulated death and/or suffering, over the last century, of more human beings than most modern wars account for! Why are we as a society still focused on the symptoms or results of this unproven and harmful mechanism, instead of the root of the problem itself? Why are there almost “400” new vaccines awaiting approval by these corrupt and complicit government health agencies for products who’s efficacy and safety are based on a track record of demonstratable lies and deceit? It is time to wake up to the tragedy untold millions have, and are continuing to suffer, because it will only get worse … Much worse, as the pre-programmed drive to force, or make mandatory, these mechanisms of health ruination accelerates via state or federal laws. Today it is not stretching the truth to awfully far to state “We now live in the UNITED STATES OF BIG PHARMA” an entity so powerful that it not only holds and controls the reins of government, but also the health and future of all Americans. Just how long do you intend to tolerate this? If you have not yet experienced a vaccine related catastrophe yourself, or within your family, or don’t know of anyone who has (you must be living on another planet) … Please understand that as long as the current status quo continues … You are not home free, because in a scenario of ever increasing vaccinations (3 more just added to the schedule), you and your (much more) vulnerable children exist in an ongoing game of Russian Roulette … GOOD LUCK with that !!! Thank you for writing this article. Its great. Not only do vaccines not work, they have been falsifying science ever since the birth of the germ theory. Never in all modern medicine’s history has it ever been proven that diseases are contagious or that germs or viruses cause them. Never. 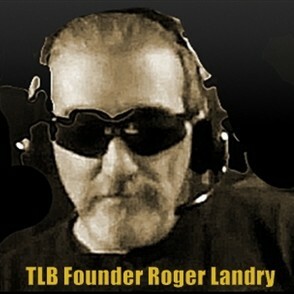 Thank you, Roger Landry. I, too have researched vaccines for 35 years, and it is a frightening scenario, where all of this is going.